We all are living critical times in history, and we are extremely anxious and worried for the days ahead. Yesterday, an Indian lady in Carrollton was stopped by the police and asked to prove her citizenship, she had to have her husband bring her passport! Few weeks ago one of our young kids in school was called a terrorist! As members of a minority community, we are extremely saddened and worried by this turn in events. We keep hearing the news of so many un-American acts and actions against our own people as well as other minority groups, all suffering from increased bullying of children at schools, increased attacks on houses of worship, increased discrimination and checks at border crossings and customs, increased ICE rounding and arrests and detentions, increased hate crimes and vandalism of Muslim and Jewish houses of worship (and cemeteries), increased bullying of LGBTQ communities, and increased interference and limitations on women’s freedom of choice and Women’s decision making abilities. This is not the America or American values that we love and that we work for. Here at TMWF we continue our work for Peace in the Home. We serve and advocate on behalf of ALL victims of Domestic Violence (DV) – from whatever race, ethnicity or faith they are – in every way we can. We provide all the services we can: case management, counselling, play therapy, 24 hour hotline, 24 hour crisis shelter, legal representation, financial empowerment. Yet sadly every month we turn away 30-40 victims calling for help, because our shelter is full and there is no room. We need your help so that we can move our shelter clients to mid-housing while they learn to stand on their own, so we can have room in the shelter for victims who are in immediate danger. And since 20% of our clients are refugees, and majority of our community are immigrants, on February 3rd, we moderated a panel on refugee for legislative briefings in Austin on the refugee resettlement process, national security considerations, community support for refugees and refugee contributions to Texas. We advocated for refugees in any capacity we could, in the media with the McQuisition report on KERA on January 22, in Austin with refugee agencies such as MOSAIC Family Services, and with the International Rescue Committee at Senator Cornyn’s office here in Dallas. Our interfaith program is extremely active, and friends tell us that TMWF is always well represented at events throughout the Metroplex. On Sunday February 19th, we celebrated Black History Month at Masjid-al-Islam and learned about the Civil Rights movement in the USA, and also attended an Interfaith gathering with our Ahmadiyya Sisters. On Sunday February 26, we celebrated neighbors and friendship among Muslims and Christians in McKinney. This event was organized by the Outreach Committee of McKinney Islamic Association – Dr Shazia Anwar – and Trinity Presbyterian Church. On February 21st, we partnered with Ayesha Omar from BB&T Bank to educate our guests on Financial Management during our monthly luncheon. And our Youth Group continued doing their good deeds with the seniors. Our Islamic Arts Revival Series is getting ready to open the Women’s Invitational Open Exhibit at the Eisemann Center March 1-March 26, 2017. This wealth and diversity in programs and participation earned TMWF the privilege of being included in the Maura Women Helping Women and Young Leader Awards at the Dallas Women Foundation on May 9th, 2017. I hope you will join us to celebrate with us this great honor. No matter how difficult the times are, or how anxious we feel, human compassion and friendship and care for one another makes things better for everyone involved, and throughout our history, TMWF has been specially effective in doing this. In these difficult times, the bright spots are the tremendous coming together of faith communities, social justice organizations, and the mobilizations of all groups to work together and organize and be vocal about their position. All are reaching out to their representatives and letting them know how they feel. This is absolutely critical, the local decisions in the municipalities, city, county and state are the best determinants of how communities there will be treated and affected. As you can see, TMWF is a unique organization, working for the good for all at so many levels, There definitely is a program or service that you can support here, and we urgently need you to do this as soon as possible. Please consider donating to your favorite programs at TMWF. May God keep you and your loved ones in his tender loving care! Join the Purple Postcard campaign and make sure legislators hear your voices! Please call your representative and ask them to support Bills for Domestic Violence. Everyone has a role to play in building a safer Texas. There are many ways you can show your support for family violence victims and survivors, and help create communities free from violence. Did you know that Texas has among the highest number of unmet requests for family violence services in the country? Nearly 16,000 victims of family violence, primarily women and children, were turned away from shelters in 2015 due to lack of capacity, and that’s why your support of the Purple Postcard is so important (http://tcfv.org/). Join Hamza Iqbal’s pledge Young Men Against Abuse. At only 15 years old, he already recognizes the importance of bringing domestic violence (DV) awareness among his peers. He began an online petition to take the pledge against DV. His effort was endorsed by Dallas Mayor Mike Rawlings. It complements the Mayor’s 2013 campaign for 10,000 men to take the pledge. Muslim leaders and their supporters on Wednesday denounced what they called growing bigotry against people of the Islamic faith, citing a “loyalty oath” they say a Texas state legislator wants them to take, and the looming temporary ban on many refugees issued by President Donald Trump. Dear Supporters, on Saturday January 21, 2017 TMWF hosted our 12th Annual Fundraising Gala. We cannot find the words to express to all of you how grateful and blessed we are by your support. We had 500 attendees from different faith communities, nationalities, denominations, affiliations, stages in life and professions. Among us we were blessed with Rabbis, Pastors, Imams, men, women and youths. They all were and – are – true faithful and true believers, putting the teachings of their faith into action. Each one made the statement that they supported TMWF’s work. To look after the needy and less fortunate, and empower them to pick up their lives after experiencing devastating trauma, and move on. We partnered with our Masajids and Imams since 2008 in annual Ramadan DV Awareness Campaigns, dedicating full Khutbahs (sermons) about DV, and reaching at least 100,000 people with the message that Islam honors women and condemns violence, definitely within our homes, but most assuredly everywhere else. TMWF and supporters were and – are – acknowledging that “All people are created equal” by the one All Mighty creator. Although we come in all races, all ethnicities, all genders, we are meant to know one another and to care for one another and live peacefully together on God’s good Earth. This is the integral vision in our Interfaith and Outreach program. The tremendous interfaith audience were the fruit of the constant work over the years – visiting, partnering with all faiths and denominations, speaking in schools, colleges and groups and establishing goodwill and friendship in the process. We all know that all of us are not given the same starting points or means in life, but all of us have the right to be educated and to improve our future and that of all our families. This highlights TMWF’s Education program. What is a better and more effective way to connect people and bring them together than art with our Islamic Arts Revival Series program? Art has always been a universal language to build cultural bridges. Last but not least, we all realize that our children are our future. They are the ones who will hold the reigns of our society, our country and our world. What we plant in their minds early on is what we will reap in the future years to come, and this is our focus in the Youth Leadership program. Since 2008, when Farhana Ali established the program, over 500 youth have volunteered over 3,000 hours of service to food pantries, homeless shelters, hospitals and senior homes. On Saturday we saw them the fight against Domestic Violence with Mayor Rawlings and our Imams. Our programs showed that TMWF is a living, breathing, mini world, that nurtures all the values that faiths and real humanity promote: compassion, love, friendship, support, generosity, respect and care for every single individual within this world. We respect and value of all the resources and expertise that each one brings, whether they are young or old, men or women, black or white, Mexican, South Asian, white, Arab, African, European, or Latin American. Thank you to our gala sponsors, program advertisers, silent auction donors and to the wonderful ladies who donated the delicious treats for all our guests! 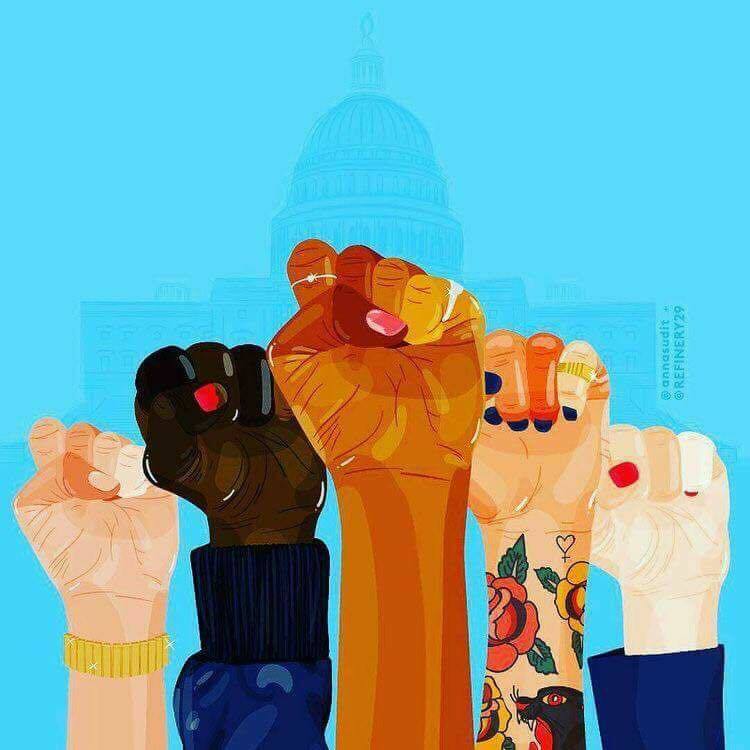 On the second day after the inauguration, we all witnessed the women’s marches all over the country, and witnessed the fear and the worry that many people were experiencing in light of the anticipated new changes in government. For us at TMWF, these are even more scary times. We fear for our women, community, our men and children. We fear for the poor, all refugees and immigrants. We fear the anticipated cuts in federal programs and grants. The news today are that the Office of Violence against women, the source of funding for major DV providers around the country, as well as the National Endowment for the Arts, and other critically important programs will be eliminated. We pray that our coming together will be the assurance that the people of this country will continue the work to look after one another and support one another, and in light of potential cuts in funding from the government, each and every one of us will reach out more within his own ability and will be even more generous in his donations today and onward. None of the current programs helping the homeless, the victims of DV, the people with disabilities, poor, refugees the LGBTQ can continue without our combined effort and generosity. So please continue to donate to TMWF and your favorite charities. Lastly, thank you to ALL our brothers and sisters who stood with the Muslim Community and came out in droves to Dallas Fort Worth International Airport to make a stand and state that refugees are welcome. Thank you to Dallas Mayor Rawlings, Judge Clay Jenkins, Dallas Faith Leaders: Rev Michael Waters, Pastor Erik Folkerth, Imam Omar Suleiman, the untiring and dedicated and relentless Alia Salem, CAIR Executive Director, the countless Pro Bono lawyers who worked unselfishly. Thank you to the generous volunteers who brought food and water and cleaning supplies for the thousands of protesters who stayed there till the detainees were released. We thank the gracious Police Officers who attended to the peaceful crowds and to the news agencies such as WFAA, Dallas Morning News for covering all the events. I know I’m missing a lot of wonderful people who are definitely deserving of recognition, please forgive my memory! Please know that we are sincerely grateful and appreciative of your presence among us. God Bless the great American spirit and our wonderful American brothers and sisters who always uphold the values and constitution of the USA, and do not let fear and hate push them away. God Bless the already great USA. Thank you for your generosity and supporting our mission. PS: If you were unable to join us at the Gala, please consider making your gift today. We need more #PeaceChampions to stand with us to bring “Peace in the Home”.